Toggle clamps use a plunger to produce a positive linear force and are typically used to hold workpieces for machining or to position and hold parts of an assembly. Their two main advantages are that they can be operated quickly and one-handed, so are less fiddly than doing up a nut and bolt, and they are designed to automatically apply a pre-determined amount of force. The WDS range now incorporates many versions of toggle clamp including hook toggles, horizontal and vertical clamps, push-pull units, latch toggles, toggle presses, plier clamps, lockable clamps, cam action clamps and clamps with adjustable spindles. The new additions to the range include small vertical push-pull clamps with easy to grip T-handles and clamps with rubber tipped plungers that obviate the need to buy a separate cap. There are also new stainless steel hygienic clamps added to the range, which will typically be used in hygienic or corrosive environments and for use in workholding during the manufacture of medical equipment. They are also expected to prove popular for use in a range of duties on-board freshwater leisure craft, ocean-going commercial ships and in waterside locations. 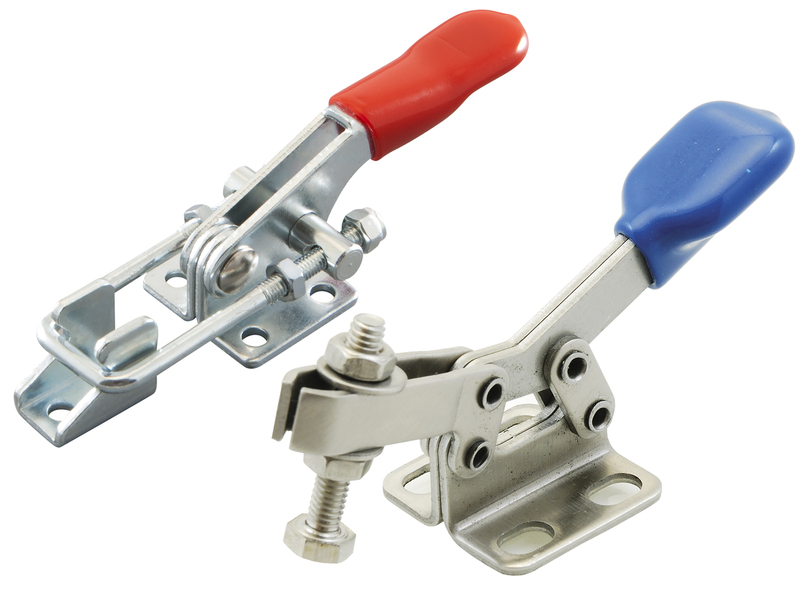 Additionally, to complement its toggle clamps range, WDS offers a number of accessories such as plunger end pads, covers, riser brackets and spindles. 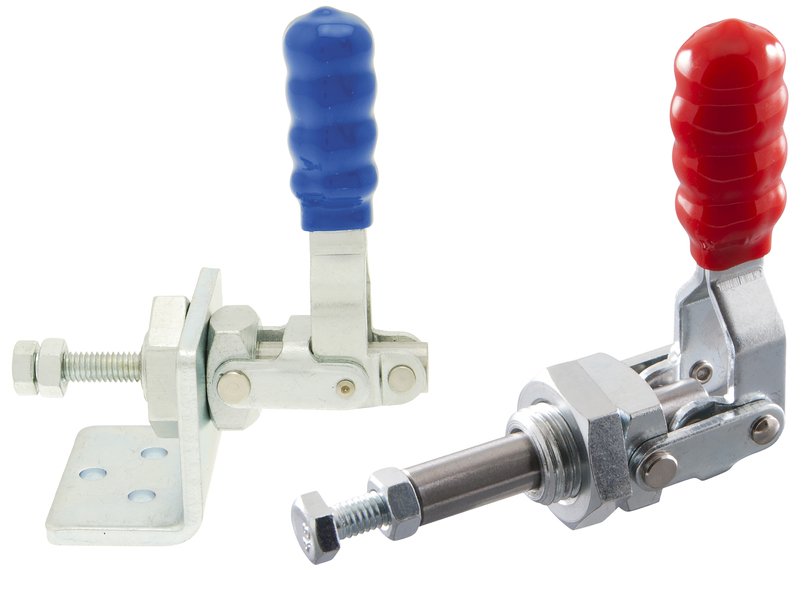 These can be used to customise the clamps to exactly meet the needs of the application in hand. All WDS toggle clamps are sized for hand operation, with the clamping force that they exert when engaged ranging for 50kg to 340kg. Typical uses for the smaller units would include workholding for hand working or light machining in jewellery manufacture and other light operations; medium sized units could be used for workholding in joinery and larger units for workholding during metal cutting operations. The full range of WDS toggle clamps can be viewed on the company’s website (www.wdsltd.co.uk), where there are also dimensions and technical specifications, 2D drawings and 3D CAD models. After identifying the best clamp for any given application, a few mouse clicks will see an order placed with same day despatch where stock allows. All WDS products can also be ordered by phone (tel 0845 606 6677), and one-to-one technical advice is also available on the same number. WDS is one of Europe’s leading manufacturers and suppliers of engineering component parts. It runs its manufacturing, stock holding and supply operations as one integrated organisation, allowing it to optimise all parts of its business and thus maximise service levels to customers. Image 1 + 2: WDS Component Parts Ltd. has expanded its offering of toggle clamps, adding new sizes at both the small and large end of the range.